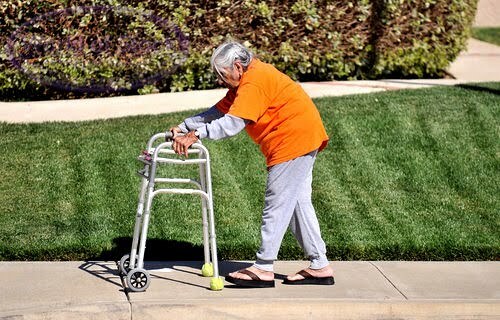 After Memorial Day weekend, for most of us it’s beginning to feel a lot like summer. 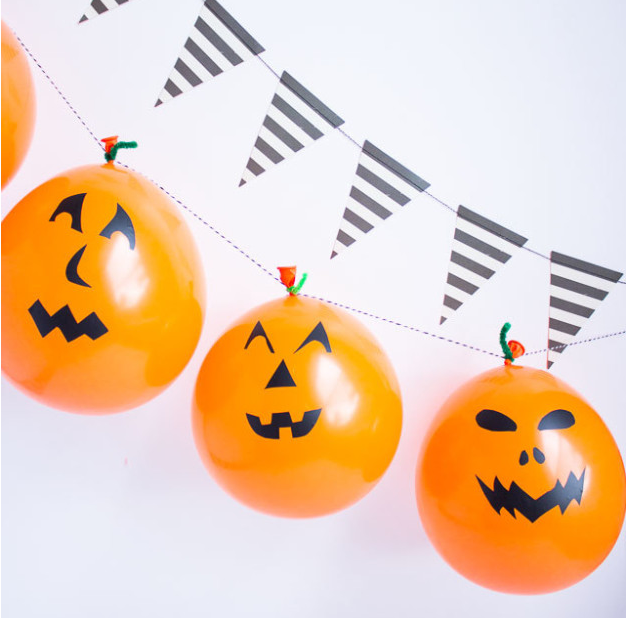 With warmer temperatures and lots of fun activities to enjoy outdoors, it’s no wonder we turn our culinary attention toward quick and easy meals with fresh in season fruits and vegetables to enjoy. 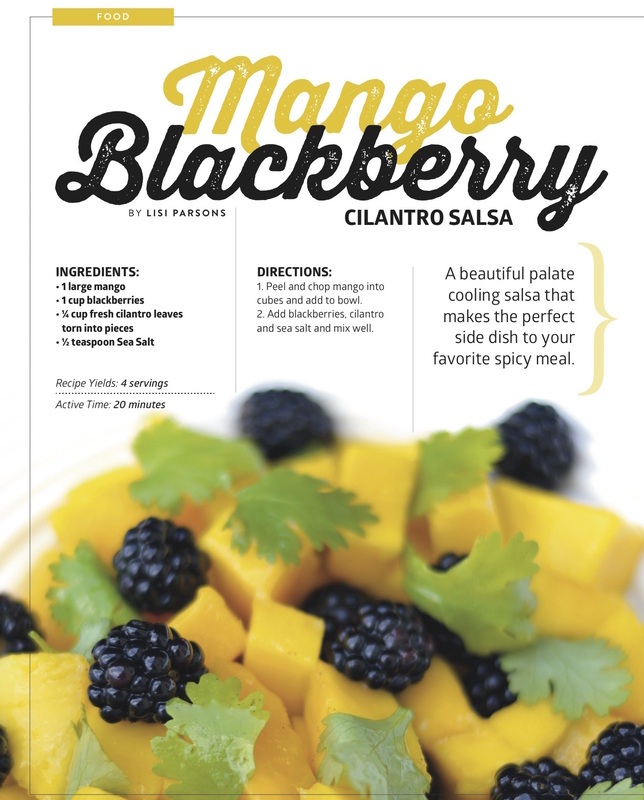 Our friends at Food Solutions Magazine selected amazing recipes featuring some of summer’s finest ingredients like zucchini, mango and fresh berries. They also show you how to make your own homemade nut and seed butters and homemade jam (no canning equipment required!) so that you’re prepared for those days when the kids are out of school and need quick, simple and healthy lunches and snacks. They may never go back to ordinary PB&J again! 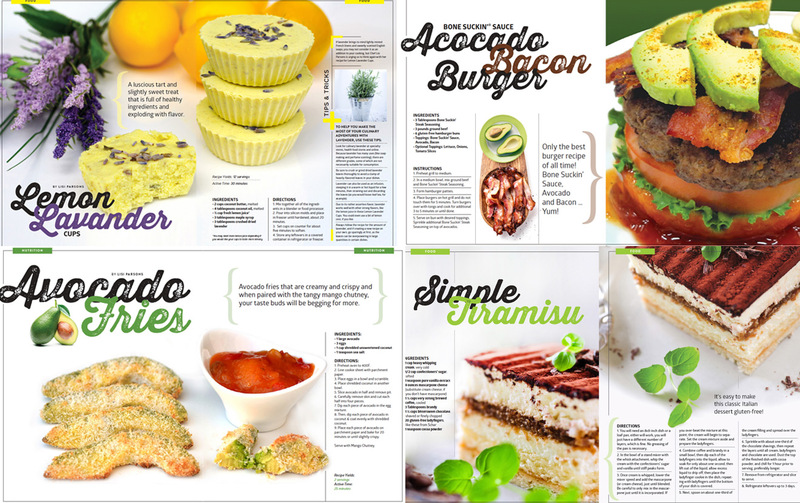 via Food Solutions Magazine - Click here to see all the recipes! 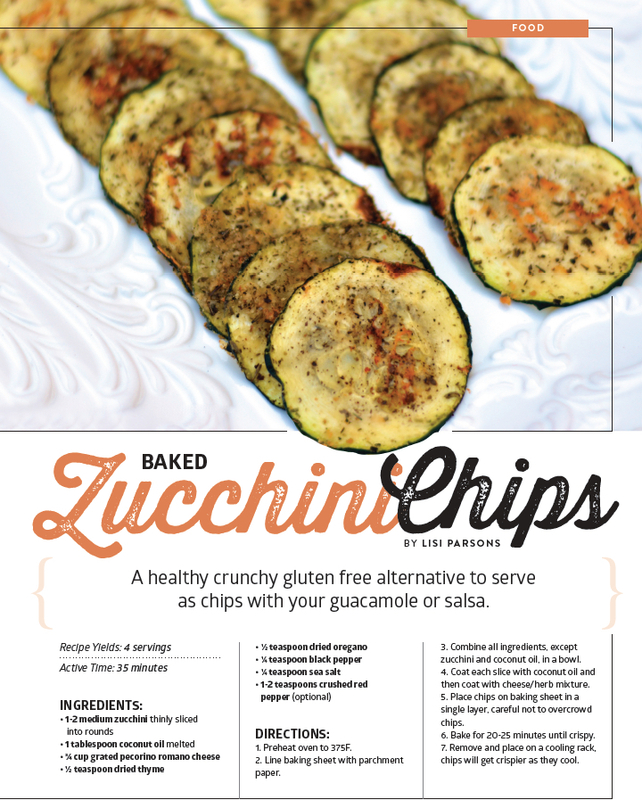 A healthy crunchy gluten free alternative to serve as chips with your guacamole or salsa. 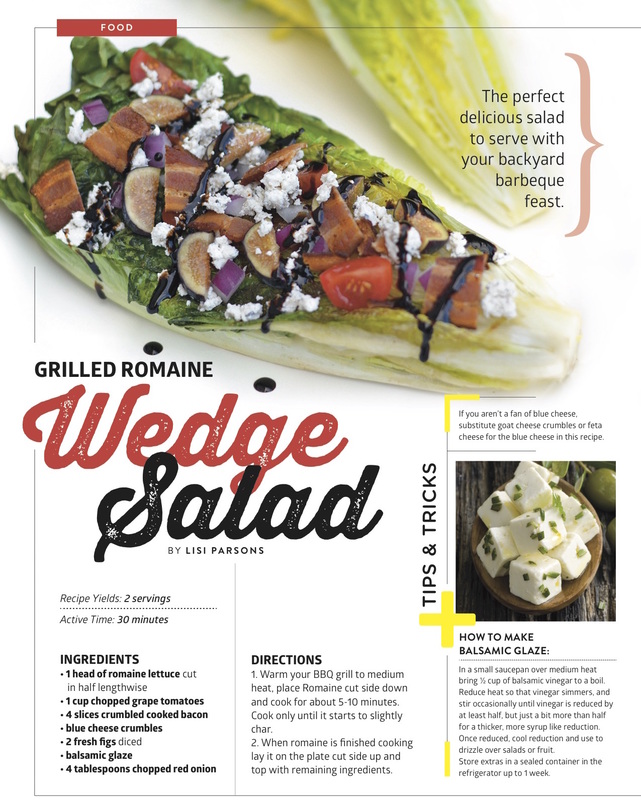 The perfect delicious salad to serve with your backyard barbeque feast. If you aren’t a fan of blue cheese, substitute goat cheese crumbles or feta cheese for the blue cheese in this recipe. A colorful refreshing way to serve luscious dragon fruit. 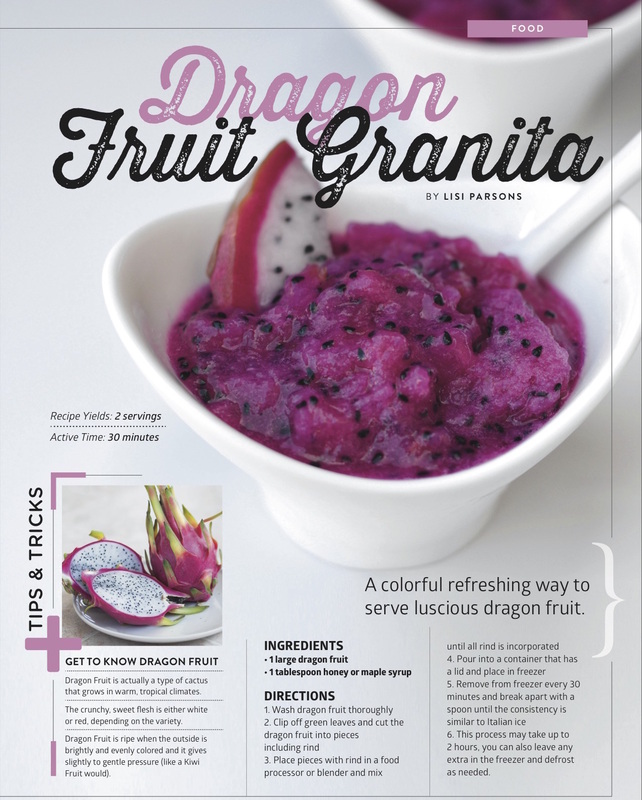 Dragon Fruit is actually a type of cactus that grows in warm, tropical climates. The crunchy, sweet flesh is either white or red, depending on the variety. Dragon Fruit is ripe when the outside is brightly and evenly colored and it gives slightly to gentle pressure (like a Kiwi Fruit would). A luscious tart and slightly sweet treat that is full of healthy ingredients and exploding with flavor! 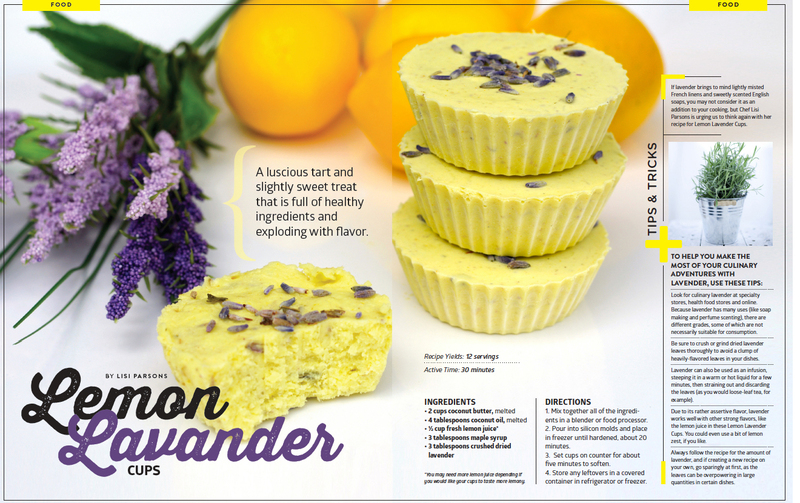 If lavender brings to mind lightly misted French linens and sweetly scented English soaps, you may not consider it as an addition to your cooking, but Chef Lisi Parsons is urging us to think again with her recipe for Lemon Lavender Cups. 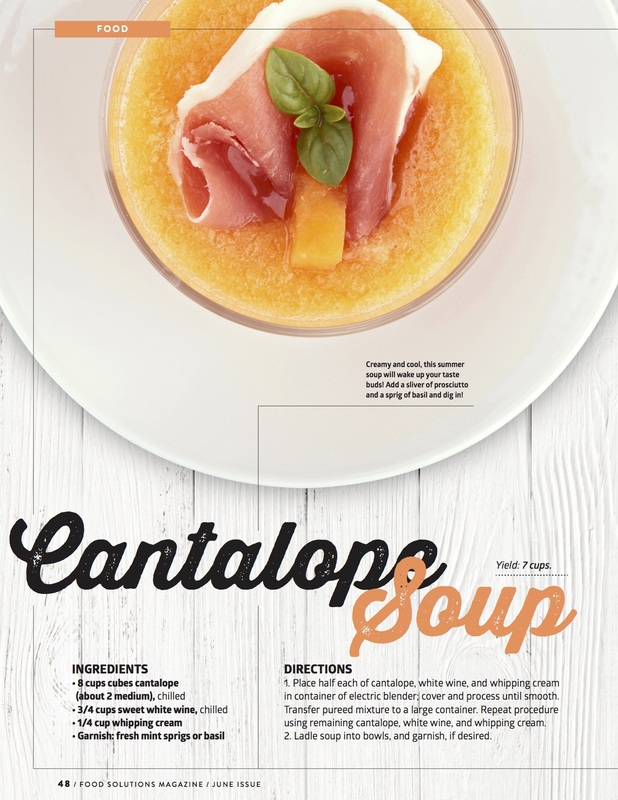 Creamy and cool, this summer soup will wake up your taste buds! Add a sliver of prosciutto and a sprig of basil and dig in! 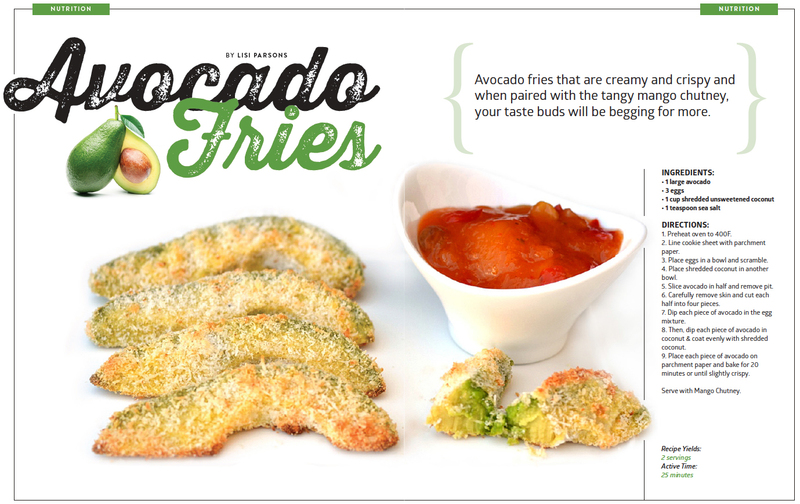 Avocado fries that are creamy and crispy and when paired with the tangy mango chutney, your taste buds will be begging for more. Serve with Mango Chutney! Only the best burger recipe of all time! 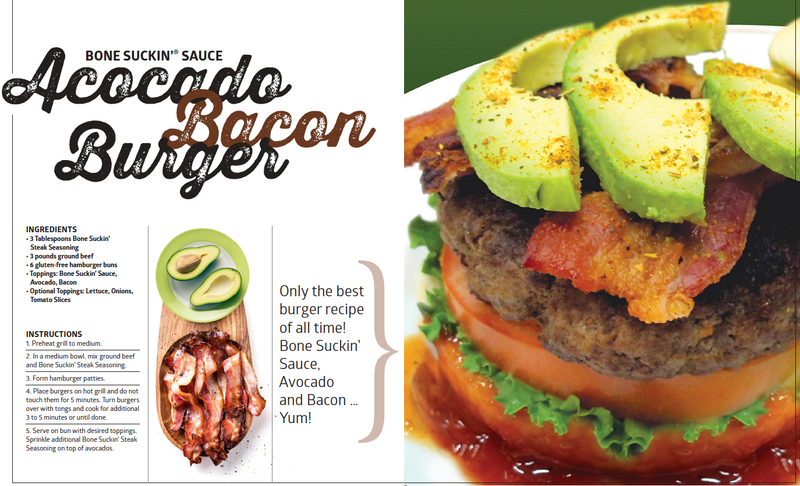 Bone Suckin’ Sauce, Avocado and Bacon … Yum! 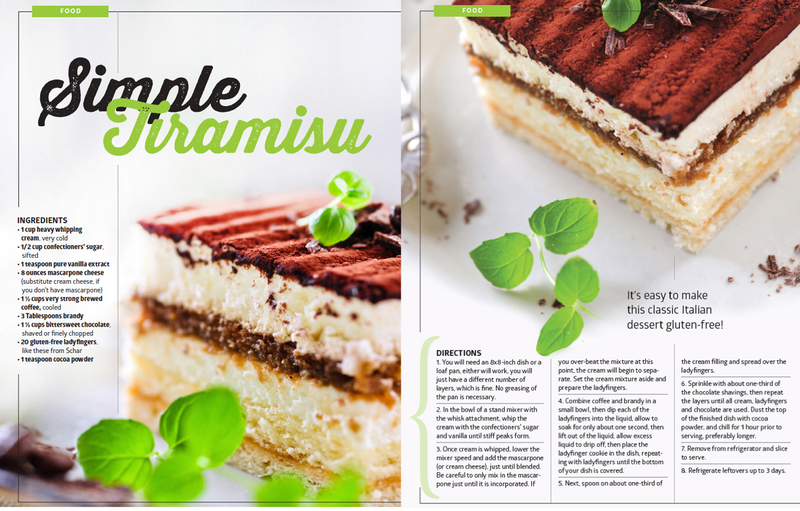 It’s easy to make this classic Italian dessert gluten-free! 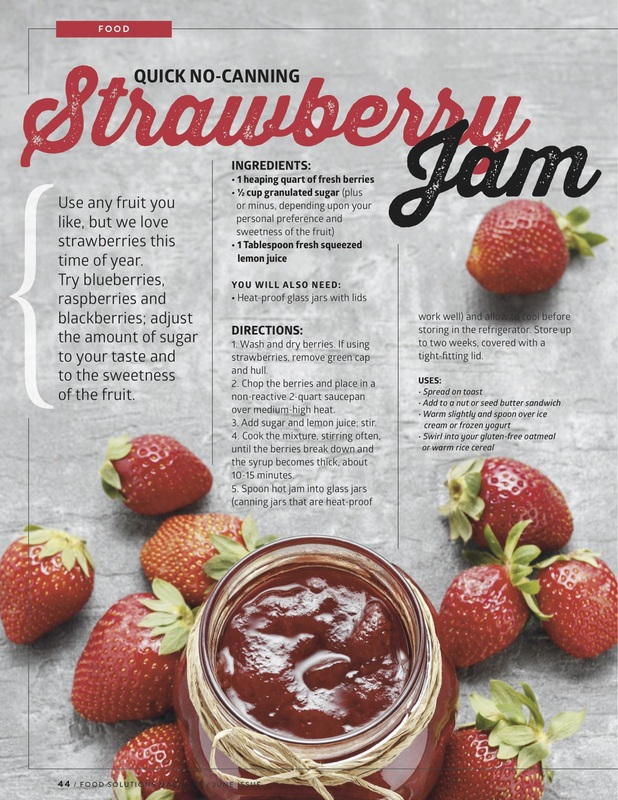 Use any fruit you like, but we love strawberries this time of year. Try blueberries, raspberries and blackberries; adjust the amount of sugar to your taste and to the sweetness of the fruit. A beautiful palate cooling salsa that makes the perfect side dish to your favorite spicy meal. 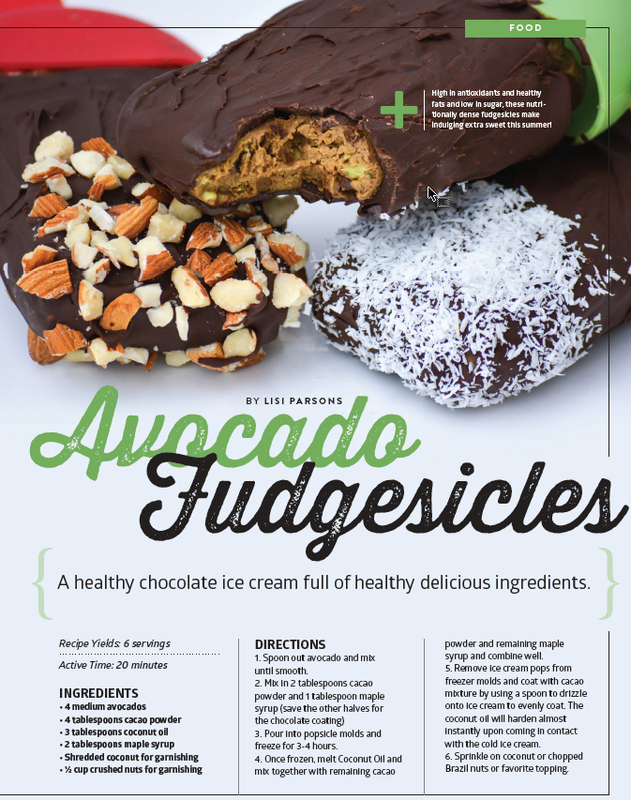 These Avocado Fudgesicles are healthy chocolate ice cream full of healthy delicious ingredients!